There's a rule of thumb that says that you need to save enough money to live on 75 to 85 percent of your pre-retirement income. If you and your spouse jointly earn $100,000, for example, you should plan to save enough money to have $75,000 to $85,000 per year when you retire. But lately, this rule of thumb has been called into question. Personal finance experts are now saying that your EXPENSES, not your income, should guide your retirement planning. Rather than pick an arbitrary number based on the salary you've negotiated with your current boss, they say, you should figure out how much money you want to live on each year during retirement. Then multiply by 25. That's how much you'll need to save. If you and your spouse decide to withdraw $40,000 a year from your retirement portfolio (to supplement your Social Security), for instance, you'll need a portfolio value of $1 million when you retire. If you and your spouse want to withdraw $80,000 a year, you'll need $2 million. Basing your retirement savings goal on your expected annual expenses -- rather than your current annual salary -- makes a lot of sense. I support this approach and believe that it trumps the traditional rule of thumb that over-focused on your income. Of course, there is one critical factor in making this approach work. 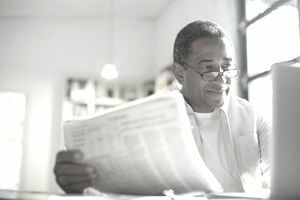 You must be able to accurately estimate how much money you'll need each year for your living expenses when you retire. Examine how much money you currently spend each year. That's a good starting benchmark. Do you have children who will depend on you for financial support after you retire? Consider the cost of sending them to college and possibly helping support them through graduate school. Consider whether or not they'll ask you if they can borrow money to buy a car, house or engagement ring. Do you plan to pay for their wedding? These can add to your retirement expenses. Are you and your spouse in good health? Do you have family histories of major medical conditions that could prove to be expensive? Medicare handles some costs, but seniors do pay out-of-pocket for some expenses. Also, "indirect" medical costs like retro-fitting your home to be wheelchair-friendly can cost a fortune. Do you have debt, such as credit card balances, car loans or student loans? Will your home mortgage be fully paid by the time you retire? How high are your property taxes and homeowners insurance? Do you or your spouse have elderly parents who may need physical or financial assistance? Do you have siblings or cousins who may need help? Add these estimated costs to your current budget. Amortize one-time expenses. If you plan to pay $20,000 for your child's wedding, for instance, assume that your annual retirement costs will be, on average, $2,000 per year higher than your current bills. Subtract any expenses from your current budget if necessary. If your current budget includes paying a mortgage, you can deduct the principal and interest portion of your mortgage bill from your expected retirement expenses. Don't forget to add the cost of property taxes and homeowners insurance back in! At the end of this step, you should have a number that reflects how much you'll spend each year when you're retired. Less than one-third of working Americans get a pension. If you're one of the lucky few, ask your employer how much you'll receive. (The Human Resources department is the best place to start asking). Social Security mails you a form once a year that tells you how much you're eligible to receive in retirement, based on your current contributions. Refer to that form to find your expected payment. If you can't find the form, or if you're new to the workforce, use the estimator on the official Social Security website. Subtract your expected pension and Social Security income from your estimated annual expenses. If you have any other sources of retirement income, such as income from rental properties, royalties or annuities, subtract this out as well. The amount left over is how much you'll need to withdraw from your portfolio. Multiply this number by 25. This is how big your portfolio needs to be. Formula: $65,000 - $30,000 - $5,000 = $30,000. This is the amount, per year, that must be withdrawn from this person's retirement portfolio. $30,000 x 25 = $750,000 retirement portfolio needed.